If you’re into German cars, Autohaus Lancaster has one for you! As representatives of the world’s largest German automaker, we stock the sportiest and most powerful Porsches on the market. We deal in factory-certified pre-owned autos as well, and also maintain a large inventory of other domestic and imported cars, trucks and SUVs. We’ve been family-owned since 1964 in beautiful, scenic, and historic Lancaster, PA. We welcome you to join our family! We know how you feel. Not just “any” car will do. It must meet and fulfill your expectations. We take pride in servicing our customers and we look forward to adding your name to that list. 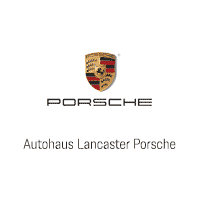 Let us show you why so many customers place their trust in Autohaus Lancaster Porsche. At Autohaus Lancaster Porsche, we are passionate about the cars we sell and the service we deliver. From the most luxurious Panamera to the fastest, most agile 911, from the most fun and economical Boxster to the most practical Cayenne, our staff is trained to deliver exactly what you want at a price that is competitive. If we don’t have your next vehicle in stock (and chances are we do), we will find it for you. This is an exceptional organization with top notch talent, integrity and expertise! Everyone from Hernan Diaz Egg in Sales to Jacob Wanner in Finance to the Manager Wray Beinhauer, these guys are the best in the business! Buying a car can be either a challenge or it can be an enjoyable and pleasant experience. Either of which will be memorable. I had been looking for a specific Audi for months and then I met Hernan who I called with my request. I didn't expect that he could find what I was looking for since I'm very good at research and did my due diligence well before having a conversation with him. This guy delivered in ways that I never expected! He found the car I wanted with the features and equipment I wanted and for the price I wanted. I went in and drove the car with my wife and after a successful test drive and some minor negotiations, we bought the car. This dealership is top notch in every respect. The grounds, offices and showrooms are as clean and professional looking as you should expect. The people are professionals with the kind of integrity you don't just find at any dealer. There were no attempts at schmoozing us with false enthusiasm, redirection, arguing about value or game playing whatsoever. All they cared about was giving us what we wanted and taking care of our needs and it was GENUINE. Everyone was courteous, patient and professional! The sales process was quick and negotiations short and fair. All minor issues were taken care of and I couldn't be a happier customer! One point of particular interest that was surprising to me is that the extended warranty they offer is 'a manufacturer warranty direct from Audi'. This is unusual as most used car sales involve a 3rd party warranty that is usually expensive and fraught with problems when you have a valid claim. I never buy 3rd party warranties but I bought a warranty from Autohaus because it's from the manufacturer. This is a huge benefit and says something of both the manufacturer and the dealer. You have a choice in where you buy a car, lots of choices and there are some great dealerships out there but if you are looking for as pure and honest an experience as you can get, I highly recommend Autohaus. They also carry more than just Audi. While I can't speak for the other brands, I imagine that the culture I experienced at Audi is prevalent throughout all. So at this level of quality customer service and professionalism, you can't go wrong. Whether you are looking to buy new or pre-owned, this is the first place to consider and it will likely be your last. Autohaus is truly EXCEPTIONAL! The title of this review is the one word that I would describe Audi Lancaster (Autohaus)! This is an exceptional organization with top notch talent, integrity and expertise! Everyone from Hernan Diaz Egg in Sales to Jacob Wanner in Finance to the Manager Wray Beinhauer, these guys are the best in the business!Buying a car can be either a challenge or it can be an enjoyable and pleasant experience. Either of which will be memorable. I had been looking for a specific Audi for months and then I met Hernan who I called with my request. I didn't expect that he could find what I was looking for since I'm very good at research and did my due diligence well before having a conversation with him. This guy delivered in ways that I never expected! He found the car I wanted with the features and equipment I wanted and for the price I wanted. I went in and drove the car with my wife and after a successful test drive and some minor negotiations, we bought the car. This dealership is top notch in every respect. The grounds, offices and showrooms are as clean and professional looking as you should expect. The people are professionals with the kind of integrity you don't just find at any dealer. There were no attempts at schmoozing us with false enthusiasm, redirection, arguing about value or game playing whatsoever. All they cared about was giving us what we wanted and taking care of our needs and it was GENUINE. Everyone was courteous, patient and professional! The sales process was quick and negotiations short and fair. All minor issues were taken care of and I couldn't be a happier customer! One point of particular interest that was surprising to me is that the extended warranty they offer is 'a manufacturer warranty direct from Audi'. This is unusual as most used car sales involve a 3rd party warranty that is usually expensive and fraught with problems when you have a valid claim. I never buy 3rd party warranties but I bought a warranty from Autohaus because it's from the manufacturer. This is a huge benefit and says something of both the manufacturer and the dealer. You have a choice in where you buy a car, lots of choices and there are some great dealerships out there but if you are looking for as pure and honest an experience as you can get, I highly recommend Autohaus. They also carry more than just Audi. While I can't speak for the other brands, I imagine that the culture I experienced at Audi is prevalent throughout all. So at this level of quality customer service and professionalism, you can't go wrong. Whether you are looking to buy new or pre-owned, this is the first place to consider and it will likely be your last. Autohaus is truly EXCEPTIONAL! Hernan did an excellent job finding what we wanted and getting the process going. Once we got to delivery and purchase, Jason and Anthony stepped in without a hitch. It was definitely the smoothest and easiest car-buying experience I've ever had. I would rate this as the best car-buying experience we've ever had.